By Herb Kaiser and Joy Kaiser. CreateSpace Independent Publishing Platform, 2013. ISBN: 978-148-189-6467. This book tells the fascinating story of a philanthropic organisation - Medical Education for South African Blacks (MESAB) - founded in the 1980s; its chief objective was to help improve health and healthcare for black people in South Africa (SA). The story is told by Americans Herb and Joy Kaiser who conceptualised the idea of MESAB during their stay in SA as diplomats. They take the reader on their journey as they embarked on the enormous and challenging task of garnering support for MESAB from prominent politicians, eminent activists, civil rights groups, healthcare organisations, higher education institutions, potential funders, and potential MESAB Board and Council members in SA and in the USA. They weave into the story the history of the politically volatile decade preceding the demise of apartheid in 1994, and the challenges of fundraising for MESAB from American multinational companies that were under huge pressure from the American public to withdraw from SA. The passion and commitment of the authors to MESAB and their determination to succeed in establishing it come through very strongly. 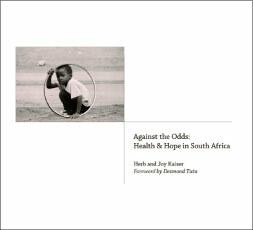 The authors describe specific MESAB programmes, including (i) the Scholarship Programme for funding the training of black SA healthcare professionals such as doctors, dentists, pharmacists, physiotherapists, nurses etc; (ii) the Mentor Programme to support first-year university and technikon students in the MESAB programme; (iii) the Kovler Fellowship Programme - a USA/ SA healthcare staff exchange programme; (iv) the Perinatal Education Programme for nurse- midwives serving rural areas; and (v) the Palliative Care Initiative in relation to HIV/AIDS. They describe their experiences as the programmes were established, the challenges they faced, the successes and what the programmes achieved. The authors reflect on what they learnt about managing an organisation that grew with time. When MESAB closed down after 22 years in 2007, it had assisted in the funding of the training of 10 000 healthcare providers. The MESAB Mentor Programme was a forerunner of the numerous peer-mentor programmes at SA universities. Although MESAB no longer exists, work continues. Proceeds from this book will be donated to the Umthombo Youth Development Foundation, which identifies and supports rural youth to train as healthcare professionals who work in under-served rural communities in northern KwaZulu-Natal. In 2010, the Kaisers received The Order of the Companions of OR Tambo in Silver. Those who want to contribute towards the development of SA, but are overwhelmed by the enormity of the problem, will enjoy reading this book and will be inspired by what passion, commitment and determination can achieve. Those who already know about MESAB will learn a lot more about it - I did.